Laurence Evans, Second Chance, Archway Roundabout. © Dylan Collard. Laurence Evans was born in Whittington Hospital in 1952. He lived first in Poynings Road and then moved to Caledonian Road where he has lived since 1962. He has volunteered at Second Chance charity shop at 7-9 St John’s Way, in the middle of Archway roundabout, since 2008. The above interview is taken from Born and Bred, an oral history project by Rowan Arts documenting the life of the Holloway Road. You can hear more at www.storiesofhollowayroad.com. 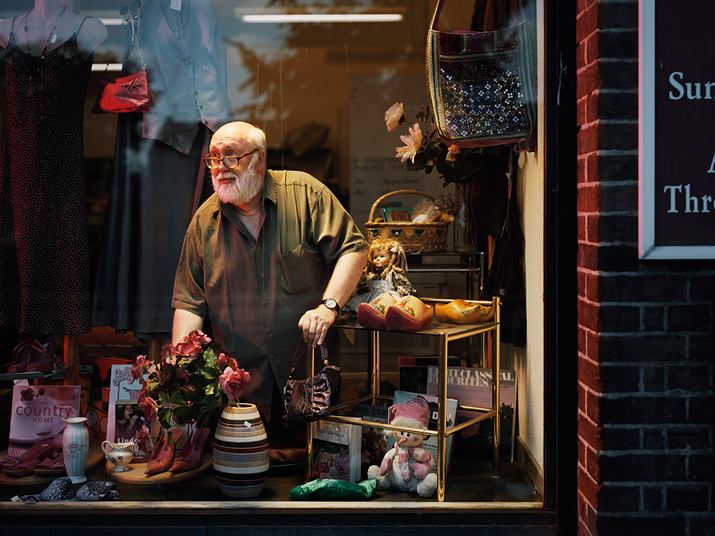 Up My Street is Dylan Collard‘s own project documenting shops between Kentish Town and Archway. His exhibition The Twelfth Man is currently showing at Exposure Gallery, 22-23 Little Portland Street, London W1. Dylan is represented by the Vue agency.